Estate taxes can take a big bite out of what you leave for heirs — but unless you will be leaving more than $11 million, it is only a major factor in certain states. Currently, the federal estate tax applies only to estates valued at more than $11 million (twice that for married couples). However, federal estate tax is not all you need to worry about.Several states have an estate or inheritance tax or both, and exemptions and tax rates vary widely. And it is these state taxes that can really hit the middle class. The value of an estate is calculated based on the net value of property owned by the deceased person on the date of death rather than what the decedent paid for the property. For example, say your grandfather purchased 10,000 shares of Microsoft stock in 1986 for nine cents per share and passed away in April of 2017. The value of those shares in his estate would not be the $900 he paid for it, but approximately $650,000, based on the April 2017 market price of the shares on the day he died. The term “death tax” is commonly used to refer to both estate taxes and inheritance taxes, but these two terms actually refer to two completely different types of taxes. Estate taxes must be paid by the estate before any cash or other assets can be distributed to heirs. An inheritance tax is based on who inherits the property. An inheritance tax is only collected if the estate passes to someone who is subject to the inheritance tax. Most states exempt surviving spouses. Some also exempt children and grandchildren. Any non-exempt heirs are taxed on their inheritance over any exemption limit set by the state. The exemption applies to the size of the gift itself, not the total size of the estate. Although there’s something to be said for a great attorney who helps you draft a smart will, estate taxes aren’t avoidable just by having a will that gives property to beneficiaries. These taxes affect both intestate succession, which is the disposition of property when a will doesn’t exist, and testate succession, which is where a will does exist. That said, there are ways to make your money work for you, not against you, according to Bankrate. An irrevocable trust, which is a trust that’s set up by a grantor (you) for a beneficiary (whomever you wish), can avoid taxation on the money set in the trust. You lose all rights to the money in an irrevocable trust after it’s set. But you can receive an income during your lifetime from the trust, and the balance will transfer to your beneficiary without estate tax at your death. 1. Will You Have an Estate? : It is a good idea to know the estimated size of your estate. 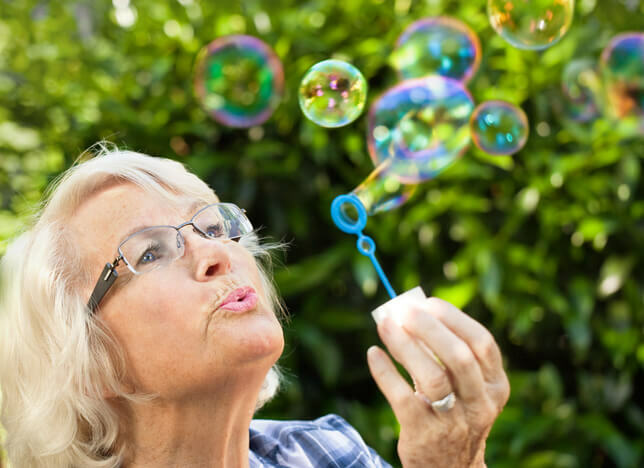 Although many of us will likely use up all of our assets paying for retirement — even our home equity may get consumed (often by medical costs), many others will be able to pass on assets. It is better to know as early as possible which camp you are in. The NewRetirement Retirement Planner makes it easy to find out how much you might be able to leave behind. You can even try different scenarios — what happens if you downsize or spend a little less? 2. Nothing to Leave Behind? You Still Need an Estate Plan! : Estate planning is more than just communicating who will inherit what. No matter how little wealth you have, there are at least four documents that everyone should create and maintain. See Estate Planning 101 for more information. 3. Talk with Your Heirs Ahead of Time: There are at least three broad categories to cover in a conversation with your family about retirement: finances, aging and end of life issues. Here are some specific topics you might want to cover and tips for having a smooth conversation. 4. Work with a Professional: Death and taxes are a potent combination — complicated and emotional. It can be a very good idea to work with an estate planning professional, especially if you live in a state with end of life taxes. Here are a list of different kinds of estate planning resources. 5. See What the Tax Situation is in Your State: How much money your heirs may inherit depends on where you live, where you own property, who will inherit your money or property, and whether your estate planning is up to date. See below for a run down of individual states. 6. Keep Up with Changes: The federal estate tax may be changed, and state laws change regularly, so it’s important to work with an estate planning professional to make sure that your plans actually happen. If you haven’t taken a look at your estate plan in a few years or you live or own property in a state that has made changes recently, you need to revisit your plan. Which States Impose a Death Tax? At the time of this writing, 12 states and the District of Columbia have estate taxes. Four states have an inheritance tax. Two states have both. The federal government allows an annual gift exemption of $14,000 per person, per year. That means you can gift up to that amount to anyone without filing a gift tax return. Any annual gifts made over that amount require the filing of a gift tax return. While no tax is due with the return, those gifts over the annual exemption limit will count toward the lifetime exemption (currently $5.49 million at the federal level). Most states provide an annual gift exemption as well. Some follow the federal exemption at $14,000, others set their own annual limits and any gifts that exceed the annual limit count toward the state’s lifetime exemption. Here’s a breakdown of those states that impose a death tax, their exemptions, and rates. Keep in mind that states regularly change their laws, so for the most up-to-date tax or legal advice, consult with an accountant or attorney. Connecticut: Connecticut imposes an estate tax on estates valued at over $2,000,000. Rates range from 7.2% to 12.0%. As of January 1, 2016, estates of both resident and nonresident decedents are subject to a cap of no more than $20 million in tax, regardless of the size of the estate. Delaware: On July 1, 2009, Delaware began imposing an estate tax. Currently, the tax applies to estates valued at over $5,450,000. Rates range from 0.8% to 16.0%. District of Columbia: The District of Columbia imposes an estate tax on estates valued at more than $1,000,000. The exemption amount will increase to $2 million when revenue surplus targets are met, possibly as of January 1, 2018. Later, it will be raised to track the federal exemption amount, again based on revenue surplus. Rates range from 0.8% to 16.0%. Hawaii: On April 30, 2010, Hawaii began imposing an estate tax on estates valued at more than $5,490,000. Rates range from 0.8% to 16.0%. Illinois: Illinois imposes an estate tax on estates valued at more than $4,000,000. The top tax rate is 16.0%. Maine: Maine began imposing estate taxes for decedents dying on or after January 1, 2013. Currently, the tax applies to estates valued at more than $5,490,000. That limit is indexed annually for inflation. Rates range from 8.0% to 12.0%. Massachusetts: Massachusetts imposes an estate tax on estates valued at more than $1,000,000. Rates range from 0.8% to 16.0%. Minnesota: Minnesota imposes an estate tax on estates valued at more than $1,800,000. That exemption increases to $2,000,000 in 2018 and after. Rates range from 10.0% to 16.0%. New York: New York’s estate tax applies to estates valued at more than $5,250,000 for decedents who pass away from April 1, 2017, through December 31, 2018. After that, the New York exemption will follow the federal exemption limit. Rates range from 3.06% to 16.0%. Oregon: Oregon imposes an estate tax on estates valued at more than $1,000,000. Rates range from 0.8% to 16.0%. Rhode Island: Rhode Island imposes an estate tax on estates valued at more than $1,515,156. That amount is indexed annually for inflation. Rates range from 0.8% to 16.0%. Vermont: Vermont imposes an estate tax on estates valued at more than $2,750,000. The top tax rate is 16.0%. Washington: Washington’s estate tax applies to estates valued at more than $2,129,000. That amount is indexed annually for inflation. Rates range from 10.0% to 20.0%. Iowa: Iowa allows a 100% exemption for transfers to spouses, children, and siblings. For all others, there is no exemption and rates range from 5.0% to 15%. Kentucky: Kentucky allows a 100% exemption for transfers to spouses, children, and siblings. Non-immediate family members receive a $1,000 exemption and rates range from 4.0% to 16.0%. Non-family members receive a $500 exemption, and rates range from 6.0% to 16.0%. Nebraska: Nebraska allows a $40,000 exemption for transfers to immediate relatives. Inheritances above that amount are subject to a 1% tax. Remote relatives receive a $15,000 exemption and are taxed at a rate of 13% for transfers above that amount. All other heirs receive a $10,000 exemption and are taxed at 18% for transfers above that amount. Pennsylvania: Pennsylvania allows a 100% exemption for surviving spouses. There is no exemption for any other type of heir. Lineal heirs are taxed at a rate of 4.5%. Siblings are taxed at a rate of 12%, others are taxed at a rate of 15%. However, parent-to-child transfers to children 21 years of age and younger, transfers of farms and farming equipment, and transfers of some family owned businesses are exempt. Two states impose both an estate tax and an inheritance tax. Maryland: Maryland imposes an estate tax on estates valued at more than $3,000,000 for 2017. That amount will rise to $4 million in 2018 and is set to match the federal exemption in 2019 and after. For the inheritance tax, there is no exemption. Both the estate and inheritance tax rates are 16%. New Jersey: New Jersey currently imposes both an estate tax and an inheritance tax, but the estate tax has been repealed starting in 2018. For 2017, the estate tax applies to estates valued at more than $2,000,000. For the inheritance tax, there is no exemption, and the top rate is 16.0%. Forbes Magazine calls the NewRetirement retirement planner “a new approach to retirement planning.” This easy to use tool is much more than a basic calculator. The detailed approach enables users to create and maintain a reliable plan for retirement and even beyond. Average Inheritance: How Much Are Retirees Leaving to Heirs?